The pine trees have been a badge on New Jersey's snow white winters for centuries. With over 115 different species of pine they are are spread across the world. Some pines can grow up to sixty feet tall with a spread of thirty feet. Their seeds are spread through their well known, and often craft useful, pine cones. Pine trees in North Jersey are the only species of tree to reproduce by this method. They are resilient and can grow in any type of soil, requiring full sun, but very little water. The most common species are White Pine, Long Leaf Pine, Red Pine and Foxtail Pine. The trees are often harvested for use as decoration or use of their wood for furniture. The Great Basin Bristlecone Pine is believed to be the world's oldest known pine at 4,840 years old. As widespread as pine trees are, there are just as many diseases and destructive pests. Due to pine trees height this can pose a major risk if the trees are located on your property. If you think or are not sure if your pine tree is diseased it is best to call a professional tree company that will determine the best course of action. 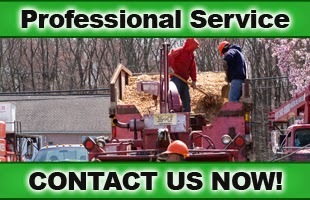 North Jersey Tree Service offers tree service in Morristown NJ and the surrounding areas. For more information on pine trees in North NJ, call Amazing Tree Services today at 973-343-6868! Water your tree every day. Keeping your tree well hydrated makes it less susceptible to catching fire when the lights get hot. Make sure to buy a tree that has fresh needles. This not only ensures that your tree will be safe in your home, but it will also mean the tree has a longer life in your home. Check the strand of lights before decorating the tree. Make sure the cord is not worn and there are no loose bulb connections. If you find anything wrong with the lights you will need to replace them. Make sure to connect no more than three strands of lights to any one cord. Turn off all lights, inside and out, before leaving the house and going to bed. All it takes is one electrical mishap to cause a fire. Make sure the tree is at least three feet away from any heat source, such as fireplaces, radiators, candles and heat vents. Taking these precautions will allow you to enjoy your Christmas tree without any danger. 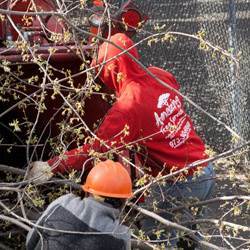 At Amazing Tree Services, we provide customers with fast and efficient tree services in Nutley. Our professionals wish you and your family a safe and happy Christmas. For more information on Christmas tree safety, call Amazing Tree Services today at 973-343-6868! While Christmas is almost here, there are still people out there who have not yet gotten a Christmas tree and are waiting for this weekend to do so. Here is a short guide to some of the different types of Christmas trees that you can get. For more information on tree services in Livingston, NJ, call Amazing Tree Services today at 973-343-6868! The time is upon us where the scent of pine trees fills the air and our homes. In recent years, there has been an increase in the sale of artificial trees because most people have become more eco-minded. But are artificial trees really safer for the environment? In fact, there is little environmental difference between the tree cut from the forest and trees produced in a factory. The environment is impacted by many factors including the distance you drive to retrieve the tree, how you dispose of the tree and how long you keep your artificial tree. Whether you have a real tree or an artificial one, both eventually end up in the land fill. The removal of trees and their disposal are the things that make them potentially more environmentally friendly. Similar to the way you'd remove any other tree on your property. A tree removal company in Short Hills NJ, like Amazing Tree Service not only cuts down your tree efficiently, but then offers you the remaining kindling for your home. For more information on our tree removal company in Short Hills, NJ, call Amazing Tree Services today at 973-343-6868! Throughout the fall, the state of New Jersey has been tirelessly battling the infestation of southern pine beetles, a species of insect that can decimate entire forests and thrives in the leafy setting of New Jersey. While the area most affected by this outbreak remains the southern Pine Barrens of the state, this ravenous insect is showing no signs of slowing down without a concerted effort throughout New Jersey. Whether you have a diseased tree, a tree infested with parasites or simply want to change the amount of sunlight that reaches your lawn, you can count on Amazing Tree Services for a professional tree removal in Montclair that will meet all of your needs in a safe, efficient and convenient way. Trees are an important part of the environment and the aesthetic of New Jersey. It is important for homeowners to maintain these structures on their property. Healthy trees on your yard can even raise the property value of your home. 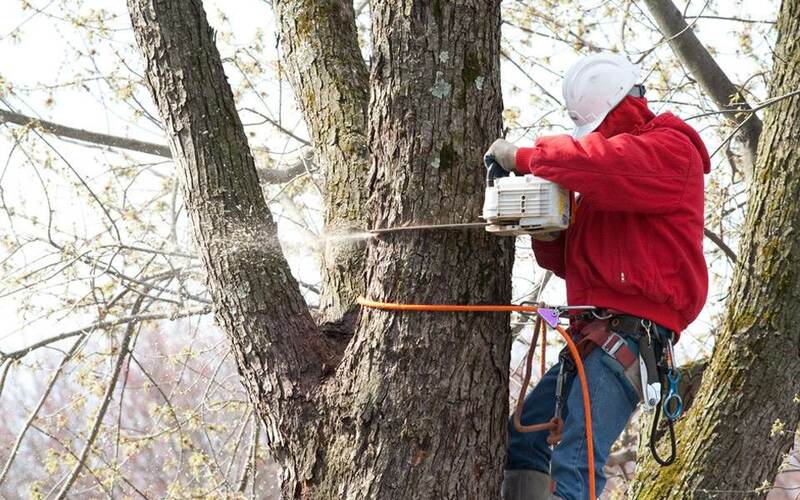 If you have a problem with one of the trees on your lawn, our tree experts at Amazing Tree Services will perform unparalleled Montclair tree removal. For more information on Montclair tree removal, call Amazing Tree Services today at 973-343-6868! 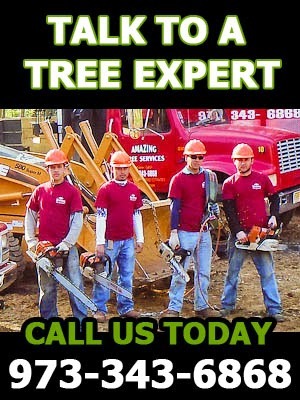 Amazing Tree Service has many years of experience performing Essex County tree services. This winter, our professionals want to bring all of our expertise to your disposal as you begin the task of picking out the right Christmas tree for your home. While there are many people who take advantage of artificial trees at this time of year, the popular choice for this festive season is a real tree. There are three major families of Christmas tree that are often used for the holidays: fir trees, spruce trees and pine trees. Trees in tree lots have sometimes been cut for over two weeks. Moisture is important to check for, since the moisture will keep the tree green and leafy for longer. Pick up and drop the stump of the tree on the ground and see how many needles fall off. This is a good baseline to see how fresh the tree really is. Some trees retain needles better than others – Scotch pines, Douglas firs and other firs have a greater ability to keep their needles longer. Buy a stand and a plastic disposal bag to place underneath your new tree to make cleanup as easy as possible. For more information on Essex County tree services, call Amazing Tree Services today at 973-343-6868!